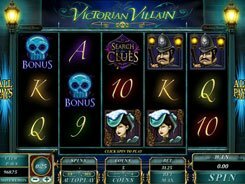 This is a graphically engaging video slot themed around steampunk. All the symbols like flying machines, mechanical lions and even playing card icons embody the steampunk aesthetics, with bizarre mechanical gears and robotic body parts. 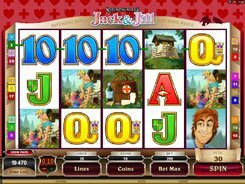 The slot has a wild, a scatter, free spins with an added feature, and a top jackpot award of $4000. 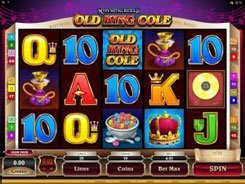 Technically, the slot has 5 reels, 25 paylines and a total bet varying from $0.01 to $50 per spin. A wild substitutes for all symbols other than scatters and doubles payouts when substituting. 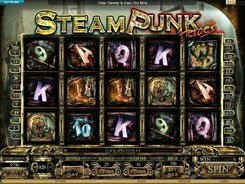 A scatter represented by the slot’s logo activates the Steam Punked free spins feature if these three occur anywhere in view. 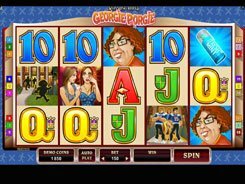 If this happens, you will be taken to the second screen with two rotating gears, the left gear being responsible for a multiplier value, and the right one for the number of free spins. You need to click the Pull Handle button. The gears will then come to a stop and reveal a respective multiplier and the number of free spins for the feature. To sum up, the game is a decent representation of the steampunk sci-fi genre, and will appeal to all slot fans who like top quality gaming solutions.